Pathfinder Homes bring the very best of Innovation, Inspiration & Imagination for the very first time to the Ardingly show in April! The Silverton is an ever-changing luxury Pathfinder home, a relaxing escape in any season. The soft colour of its cedar cladding is brought to life with the grey slate style pitched roof, creating a home with impressive looks that will sit happily in any surrounding, from woodland park to beach side setting. Picture windows, two sets of patio doors and roof windows ensure the open-plan living area is a bright, welcoming space. Smooth wood flooring brings a natural feel to the Silverton which although finished in a clean, modern fashion, is a home which lends itself to comfy days and cosy nights. Evenings can be spent sat on the leather sofas watching the flames flicker in the contemporary wall-mounted fire whilst enjoying the latest drama on the large TV, a good book or the company of friends and a bottle of wine. 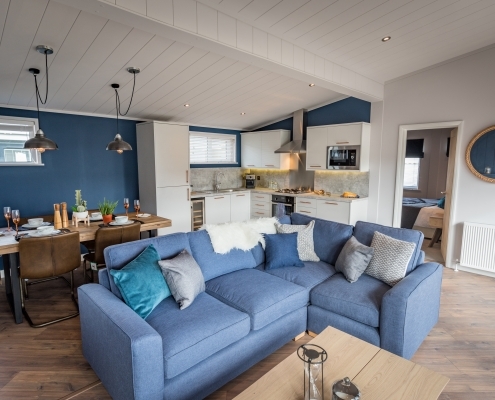 The new Retreat combines a sense of elegance and comfort, with its rustic features creating, quite literally, a retreat from the hustle and bustle of the real world. This home is a perfect blend of class and sophistication, without looking out of place surrounded by countryside. 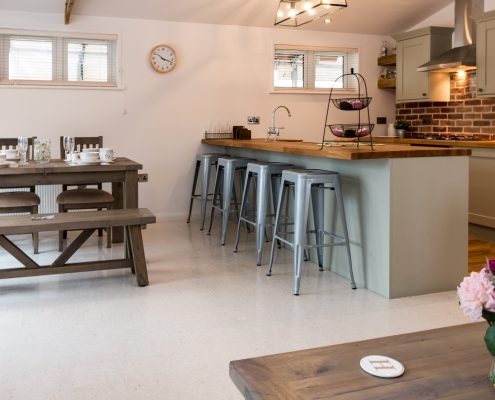 The Retreat uses a clever combination of unfurnished style wood and red brick throughout to create a handcrafted and tranquil environment, whilst managing not to compromise on style. As soon as you enter the home you are greeted by a carefully placed storage bench, perfect for slipping off your wellies after a long woodland walk, before heading into the living come dining room, and settling down in front of the feature fireplace. The interior of the communal living area is adorned with luxuriously rustic features, from the unfinished wooden beam across the ceiling to the red brick surrounding the fireplace. These organic traits are complemented beautifully by the clean off white carpets, smooth pale wood counter top & deep ceramic white sink creating a space which is both cozy and spacious. The French windows, covering both the width and height of the home allow for an abundance of natural light to flow in. 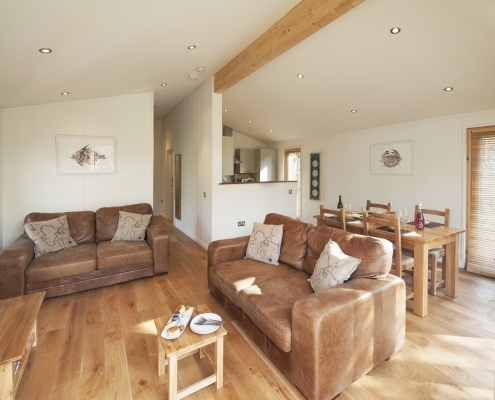 A new concept, Hideaway Lodges by Hoburne has been created to deliver a lasting impression with uniquely designed 2-bedroom lodges and bespoke interiors to suit all tastes. 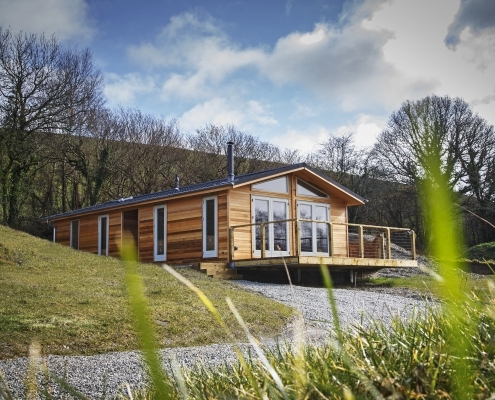 The lodges have been built to make the most of the outdoors with a central living area framed by large glass windows overlooking a great external space for entertaining, and with the provision for a hot tub for that extra bit of indulgence! Hideaway ‘Loft’ A ‘New York Loft’ style home full of brave colours and interesting textures and features, offering an urban-inspired backdrop for the curious who like to venture off the beaten track. Hideaway ‘Coastal’ Full of cool hues, whitewashed woods, soothing greys and a comfy sofa in front of a fire set within an aged tile effect feature wall with jewel-toned blues, offering a light and airy space that evokes a sense of calm and peace; a safe haven to get away from it all. Hideaway ‘Country’ Encompassing soft greys, cosy browns, a mixture of natural wood tones, old coach house brick features and a comfy armchair in front of the fire, this warm and inviting home will make you feel like you’ve truly escaped to the countryside. MEET PATHFINDER AT OUR SHOW THIS APRIL! FREE ENTRY – FREE PARKING – FREE SHOW GUIDE – FREE INSPIRATION! https://www.parkhomeandleisure.co.uk/wp-content/uploads/2019/01/Pathfinder-presents.jpg 756 945 Joanne Turner https://www.parkhomeandleisure.co.uk/wp-content/uploads/2017/12/ParkHomeLeisureShow-logo-v2.png Joanne Turner2019-01-19 19:36:022019-01-19 19:48:38Pathfinder Homes bring the very best of Innovation, Inspiration & Imagination for the very first time to the Ardingly show in April! Ardingly – Omar Park & Leisure Homes set to showcase 7 park homes/lodges... WE ALL LOVE A MYSTERY HOME & Kingston have one!